In this simple but vigorous illustration, six noblemen sit formally against cushions in two rows, each of them holding a flower. 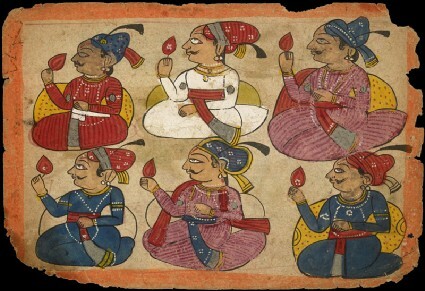 They are presumably part of a durbar assembly of noblemen or local chiefs who have assembled to attend their Raja’s court. 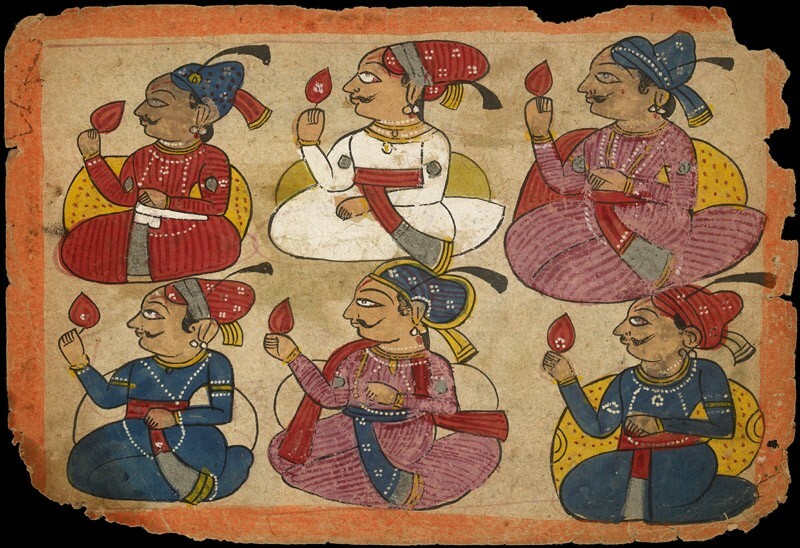 This work may be from the Marwar region of western Rajasthan. 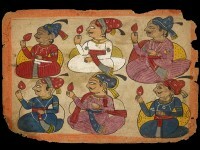 On the reverse side is a picture in similar style of a dancing girl and musicians performing for a Raja seated within a pavilion.